The bakery on 16th/5th Ave is known for chocolate babka, a decadent pastry that had New York Magazine named it the city’s best. As soon as the babkas emerge form the oven, which they do at least three times a day, Schist’s team bathes them in sugar syrup, ensuring a crisp, burnished crust and a rich, chocolate-veined interior that remains tantaliziang moist for days. Their baguettes were delicious as well. In true Parisian fashion, I dutifully bought two baguettes and ate 1/4 of one loaf on my ride home (I read somewhere about a Parisian bakery, whose baguette was so good that customers take two home because one loaf is most certainly to be demolished on the walk home). 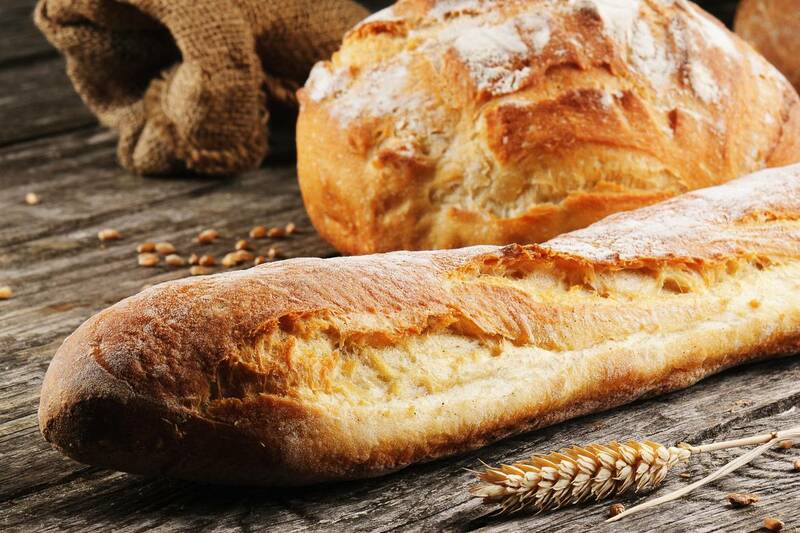 Interestingly, despite the bread’s shape and its French meaning “magic wand,” the baguette is feminine, la baguette. Despite the dip in consumption, part due to changes in diet and lifestyle, as well as the decline in quality, those who love old-fashioned French bread still take baguette seriously. The French government has introduced legislations that prevent any bakery from calling itself boulangerie (bakery) if it does not make, knead and cook entirely from scratch on the premise. Similarly, I take quality seriously, pairing my bread with Isigny Ste-Mère butter. Buttercup-yellow in color and rich in taste, Isigny butter. Buttercup-yellow in color and rich in taste, the butter is produced in Normandy, France where cows graze on Bessin and Cotentin marshes. FYI, French baker Djibril Bodian (Le Grenier a Pain Abbesses bakery) won the annual 2015 bake off for best baguette in Paris. This is the Senegalese-born baker’s second win since his victory in 2010. Paris has about 1,060 artisan boulangeries.